We want you to feel like you are right on the floor with us at CES, and as such we’re going to keep you updated on our (short)comings and goings. 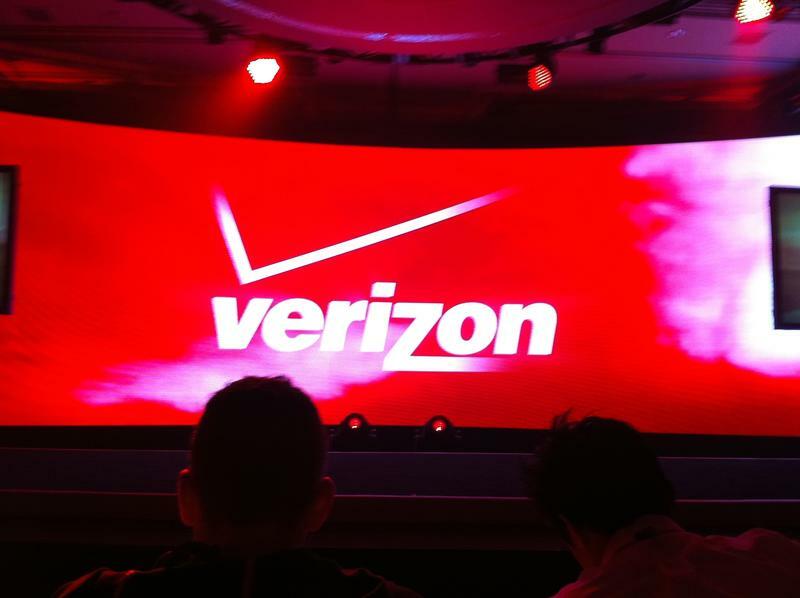 Right now we are in line waiting for the Verizon LTE event to start. I know what you are saying, another Verizon event? Yup, but this is THE event, the one where we’ll see all the new LTE devices, and perhaps (although doubtful) and appearance by Apple’s own Steve Jobs. Realistically, we expect to see a slew of new Android devices, both phone and tablet, and not much else. Anything in particular you’d like us to cover? The event starts at 1:00 PM PST. Ok we are in and seated…and oh yeah…in the 2nd row. 12:45 15 minutes to start time. Chilling…much like a villain. 1:03 We are still waiting. 1:05 And it sounds like we are about ready to begin. Music is slowly dying down. 1:13 Its all going to be about the devices. Talking about LTE. 1:15 Emerging networks department opening in Waltham Mass. 1:15 video showing Verizon partners talking. HTC, Samsung, and Sony. 1:17 Video is over. 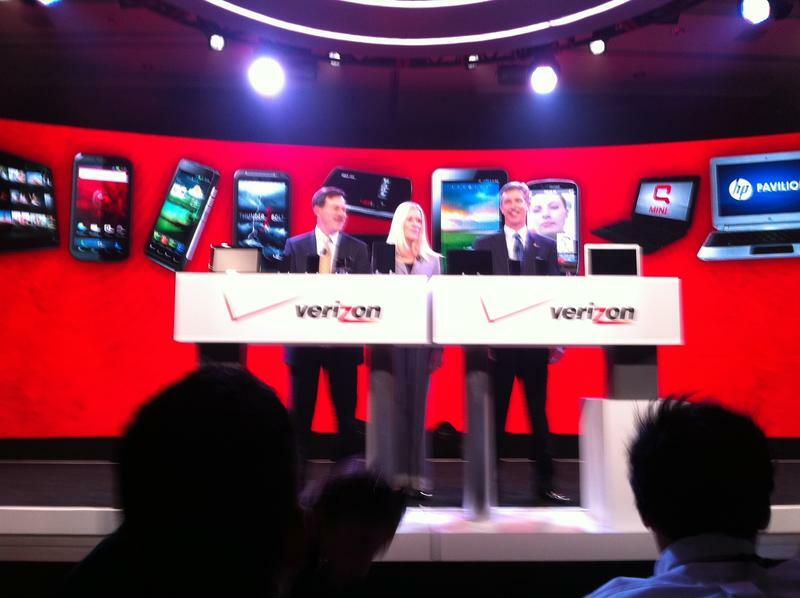 Verizon is back on stage. Commenting on their 3 year journey to LTE. Make with the devices already. 1:18 Talking about their rural initiative. Partnering with rural carriers to bring coverage to areas without coverage. 1:22 Wanted to be 1st to market with LTE. Wasn’t MetroPCS first though? 1:22 Tony Malone (sp?) up on stage, tooting their own horn about being first to market. They are talking about what their 4G options were 3 years ago. WiMAX, and HSPA+ were all considered. 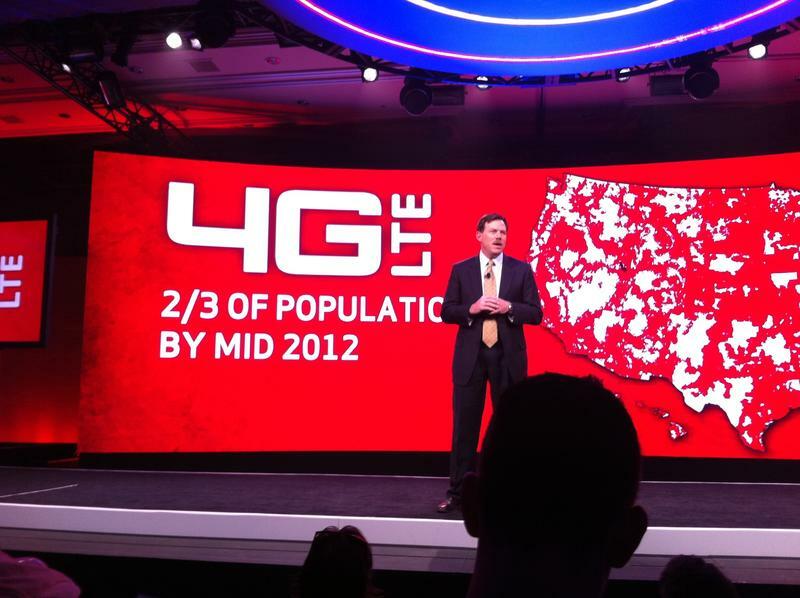 1:27 10 new LTE devices launching by mid year. 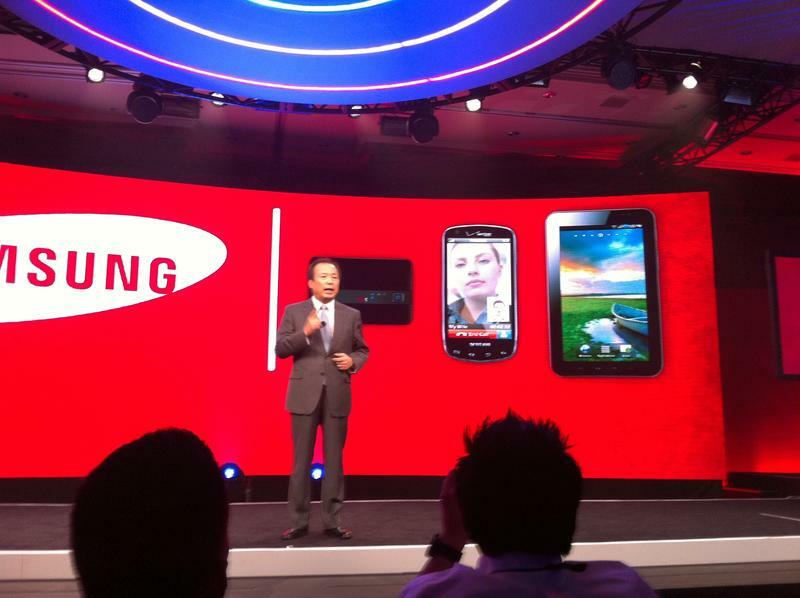 1:28 4 new phones, 2 tablets, 2 mobile hotsposts and 2 netbooks. LG on stage. 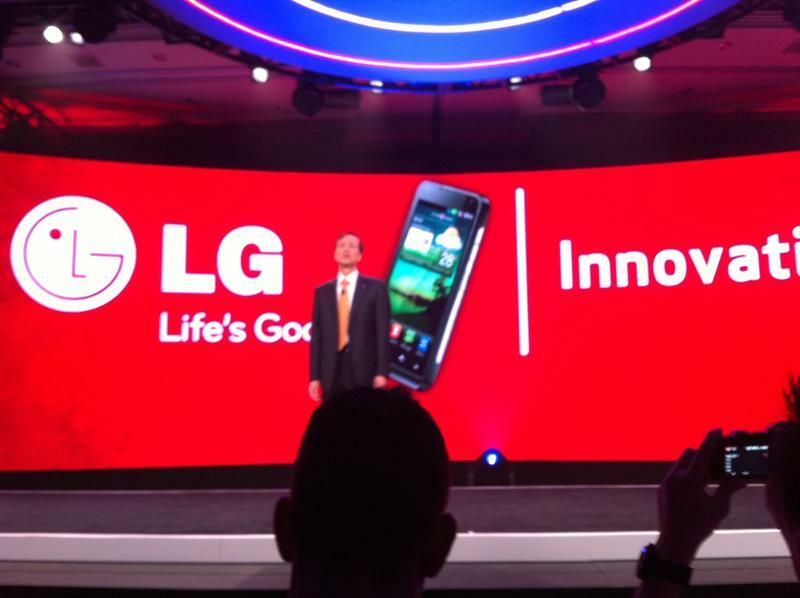 1:29 New LG device shown on stage. The LG Revolution. 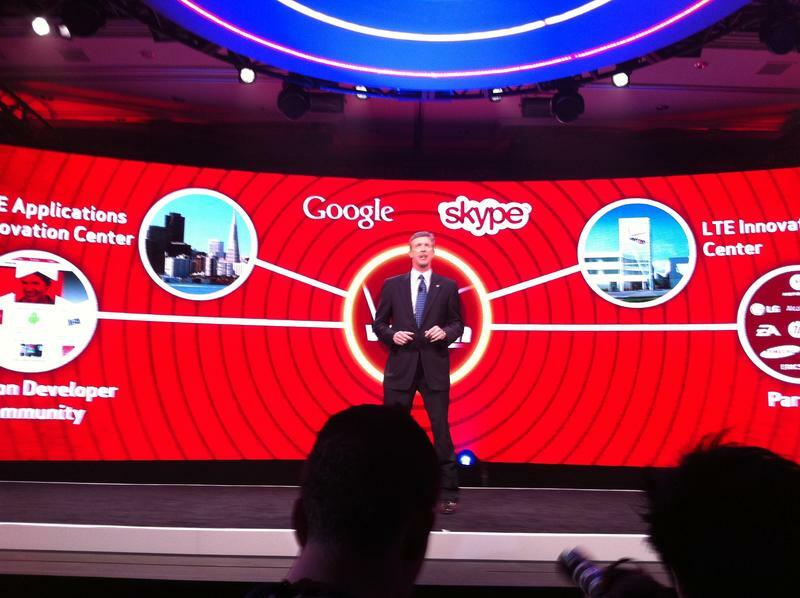 1: 30 Skype’s Tony Bates is now on stage. 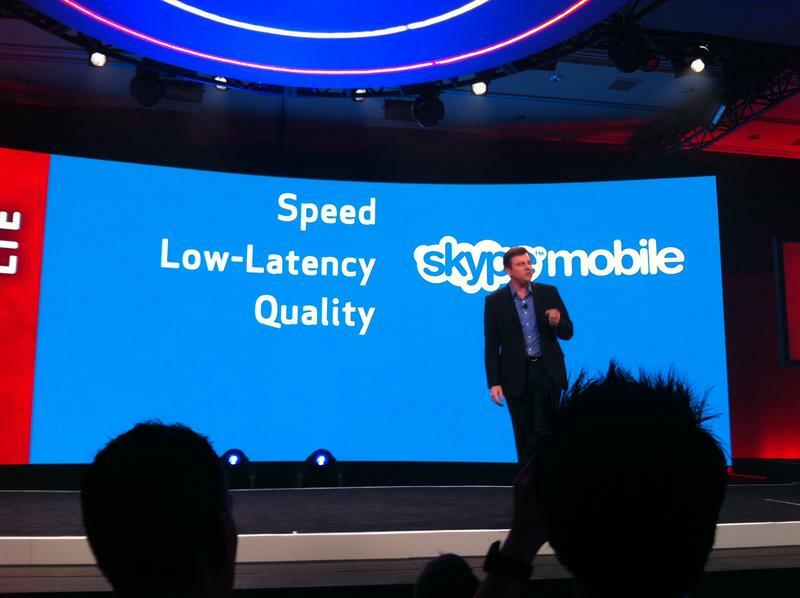 Talking about Skype mobile with an emphasis on video. 1:32 1 touch video calling from front or rear cameras. It will always be on, and will be available over the cell network, not just Wifi. 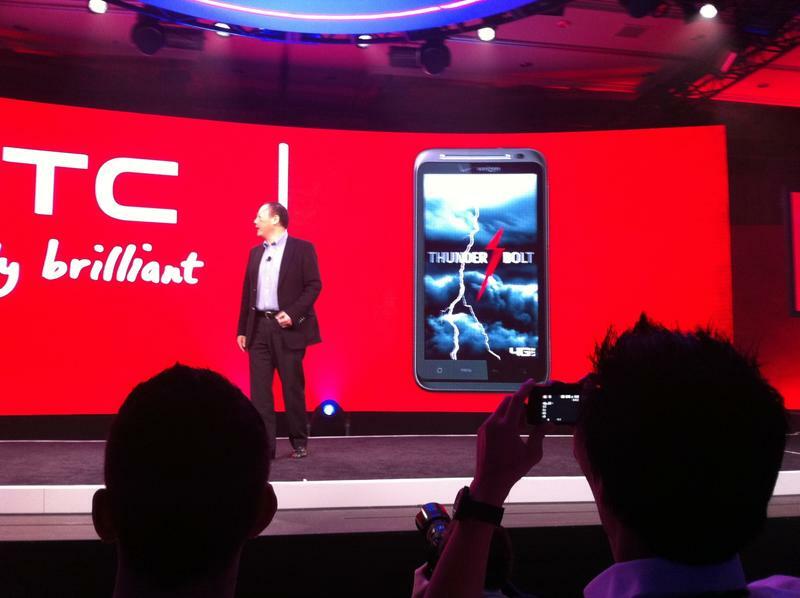 1: 36 HTC Thunderbolt is live and on stage! 1:37 4G mobile hotspot capable for up to 8 devices. 1:38 EA is on stage. The Thunderbolt really does look impressive. 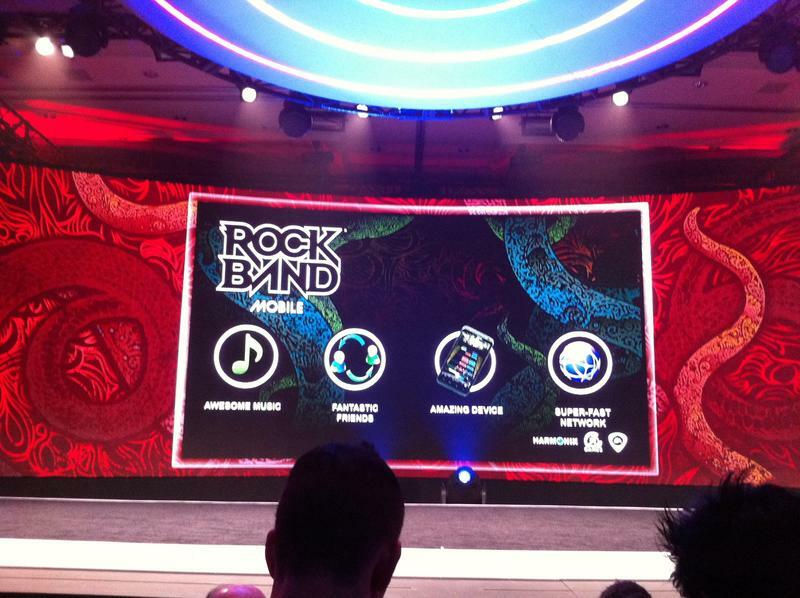 1:39 Rockband mobile announced. Play w/ 4 friends. 1:45 Talking about the already announced Motorola Xoom and Droid Bionic. 1:46 Audience Q & A time. No device pricing or rate plan pricing. 1:52 I just asked about simultaneous voice and data. Evidently some devices will support it at launch, others will not. It’s their goal to have all devices support it eventually. Wow asking that live made me nervous. Don’t tell anybody. 1:55 No comment on tethering by some will support mobile hotspots. That’s wrap folks. Hope you enjoyed!